In this oral history excerpt, veteran journalist, Wallace ‘Wal’ Brown, recalls how Prime Minister Robert Menzies gave him a scoop – without saying a word! 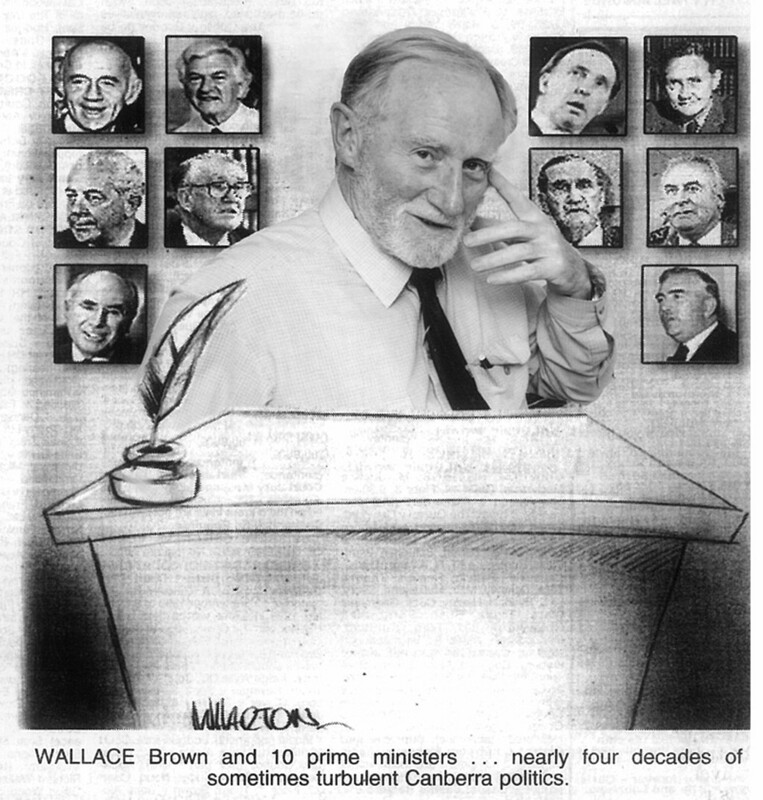 Wallace Brown served in the Federal Parliamentary Press Gallery from 1961 to 1995, making him one of the longest serving members. During this time he covered 17 general elections and 10 prime ministers. In 1995, Brown was awarded a Medal of the Order of Australia for services to journalism. Wallace Brown was recorded for the museum’s oral history program by a volunteer interviewer, Tony Duffy, in 2003. The full interview is not currently available online but is available upon request at the Museum of Australian Democracy. Please contact the museum prior to your visit and quote the reference number OHI 52.